One particular restaurant on the rugged coast of Portugal is drawing international attention for its cuisine and its architectural good looks. Now called Casa da Cha de Boa, the remodeled, reinvented restaurant is the brainchild of architect Alvaro Siza Vieira and Chef Rui Paula. 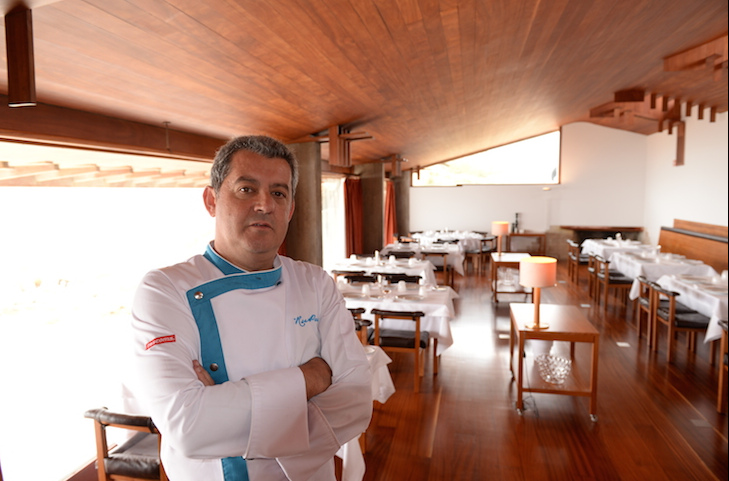 It is located 20 minutes outside of Porto, Portugal in the town of Leca da Palmeira. 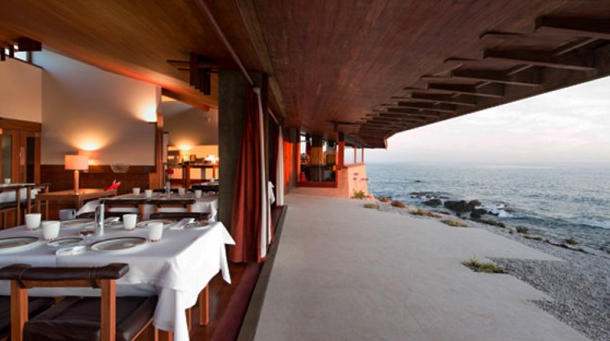 Back in 1963, architect Siza created the original restaurant then called Boa Nova Tea House. It was one of his first projects. 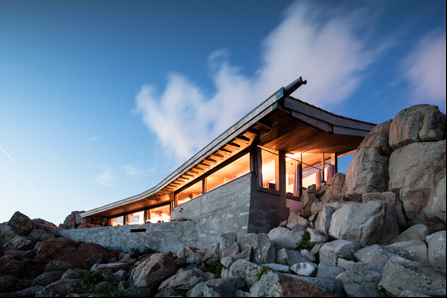 Rechristianed as a 40-seat seafood restaurant, Casa da Cha de Boa, blends into the rocks along the Atlantic coast. Windows are designed to disappear into the floor, allowing foot traffic between the main restaurant, the large outdoor patio and the nearby cliffs. All in all, this architectural jewel is doing its part to attract tourists to Portugal, now recovering from a deep recession.